2000 square foot ranch-style ICF home constructed in the beautiful mountainous Star Valley of Western Wyoming. The home was oriented for valley views out the front of the home with a full length covered deck, while the rear of the home took advantage of forest views and southerly exposure. 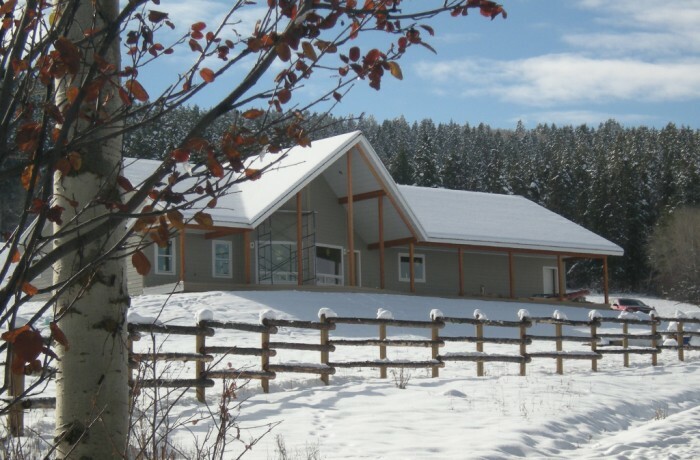 High snow load dictated the shape and structure of roof and resulted in the added benefit of high vaulted ceilings in the Great Room and Kitchen.